Here is a simple recipe of Eggless Red Velvet Sponge Cake. 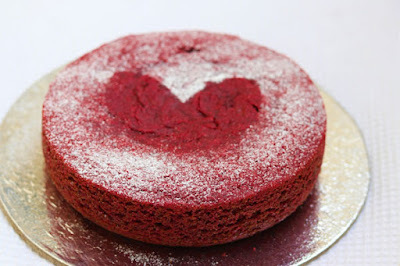 The most incredible Red Velvet Cake is fluffy, soft and moist with the most perfect velvet texture. 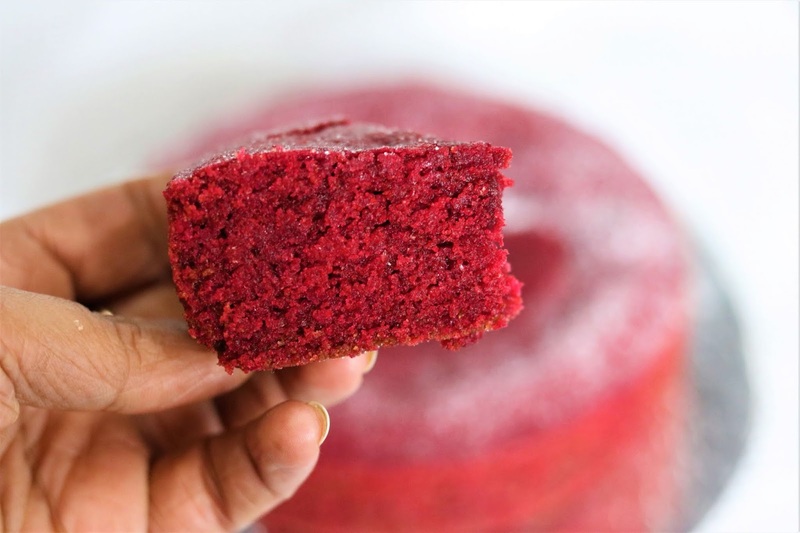 This cake is another addition to our Eggless Whole wheat cake. 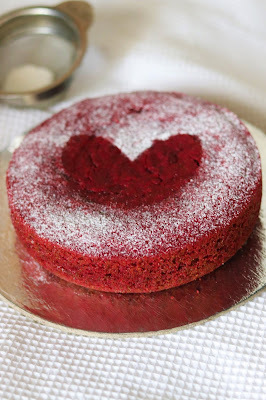 Red velvet sponge cake is a perfect #valentinedayspecial recipe. 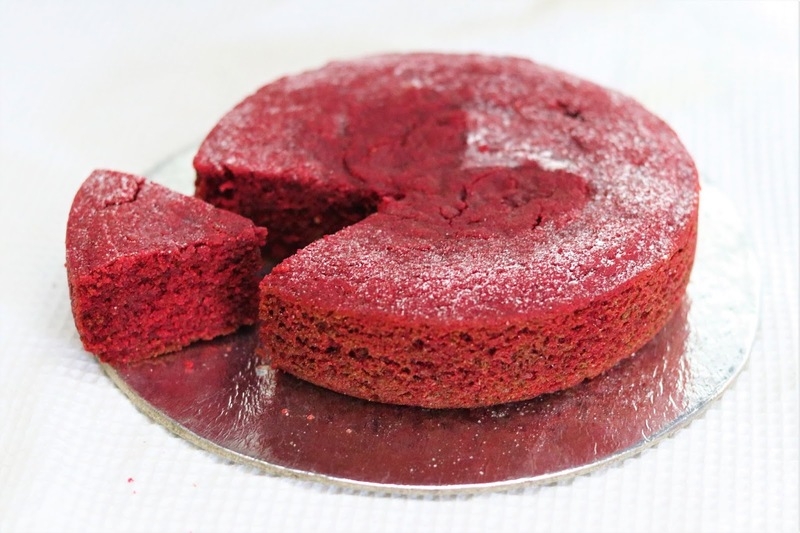 This cake is made in cooker so you do not need any special appliance to bake the cake. I have made other cake recipes in cooker. Do check out the links given below. 1. Prepare butter milk. In milk add in lemon juice. Mix with help of spoon and allow it to rest for 10 min. 2. 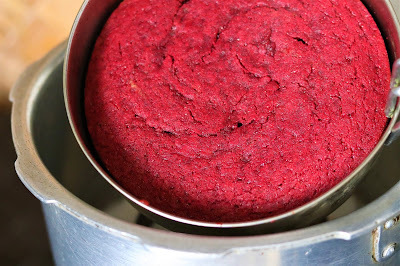 In a bowl, sieve all dry ingredients flour, baking powder, baking soda, salt, cocoa powder. Add in brown sugar, oil , vanilla essence along with red food colour. Mix well to prepare the batter. 3. Grease a 6 inches cake tin or baking dish and transfer the batter. 5. Once baked, cool down the cake completely. 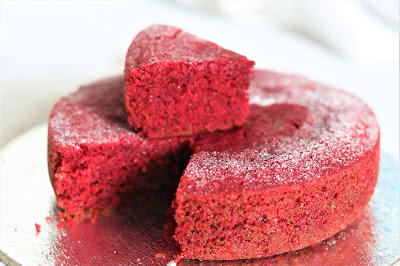 Decorate the cake with your favorite ganache or simply sprinkle the top with castor sugar.